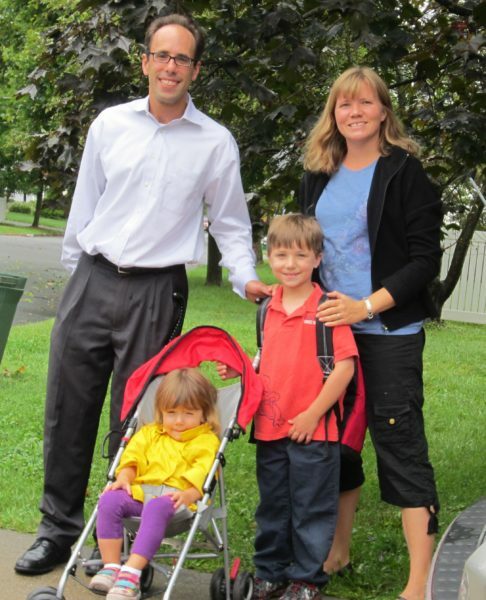 Almost six years ago, in September of 2011, my son stepped through the doors of Central Avenue School for his first day of kindergarten. Though he had been in preschool in Madison, none of his classmates he had known during his three and a half years at Kirby were in his kindergarten class. We were off on a new adventure -- new teacher, new school, new friends. He soon settled in to the school, and our whole family quickly thought of it as home. After school hours spent on the playgrounds also helped me meet the fellow parents. We'd share stories and swap ideas on how to help our kids navigate learning obstacles, friend issues, and allergies. On the last day of school, I walked over to school to pick him up. When I arrived, I found the usually empty sidewalks jammed with camera-toting parents, most of whom I had never seen before because, I soon learned, they were parents of fifth graders who usually have no reason to stand outside the kindergarten door. After finding a parent I knew who had an older child in the school, I learned about the Clap Out. I'm not sure if it is just a CAS tradition, a Madison tradition, or something many schools do, but I had never heard of it. On the last day of school, the fifth graders walk as a class from their classroom, through the school hallways lined with cheering kids from every grade, to the kindergarten wing. They pour out of the school, with a mix of cheers and tears, through the same kindergarten door they entered over five years before for their final walk along the Central Avenue sidewalks. I remember thinking two thoughts as I watched my first Clap Out. (1) I can't believe these enormous fifth graders have been in the same school with my little kindergartner. (2) I can't believe my little kindergartner will one day be one of these enormous fifth graders! Well, today is the day. As I post this blog, I will be checking that my camera is charged, filling my pockets with tissues, and getting ready for my walk to cheer on the CAS class of 2017 as they exit the kindergarten doors for the last time.